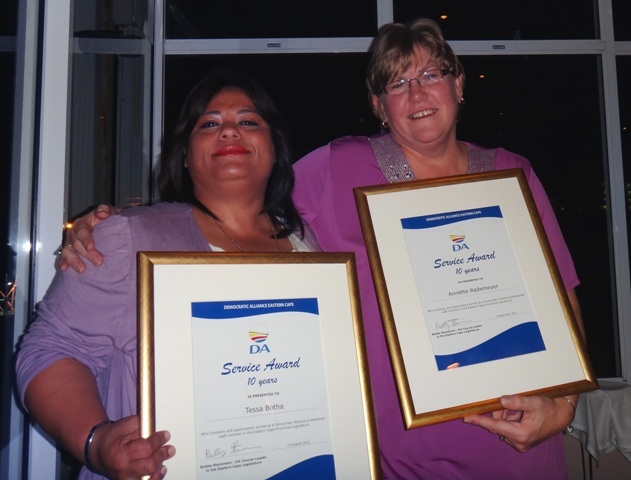 Two of the PA's in the DA-office in Bhisho have clocked up ten years of service each. Left is Tessa Botha, PA to the Chief Whip and right is Annette Rademeyer, PA to the Leader in the Legislature. They were awarded certificates at a function in East London on Wednesday, 31 August.